Limited places. Exclusive for Members of Es Baluard with prior registration. Along this year, the museum continued with the investigation and dissemination odissemination of the advance of contemporary art practices which use the image and new technology. For that reason, this year and coinciding with its 15th anniversary, Es Baluard has invited the BEEP Electronic Art Collection to dialogue with its Collection. 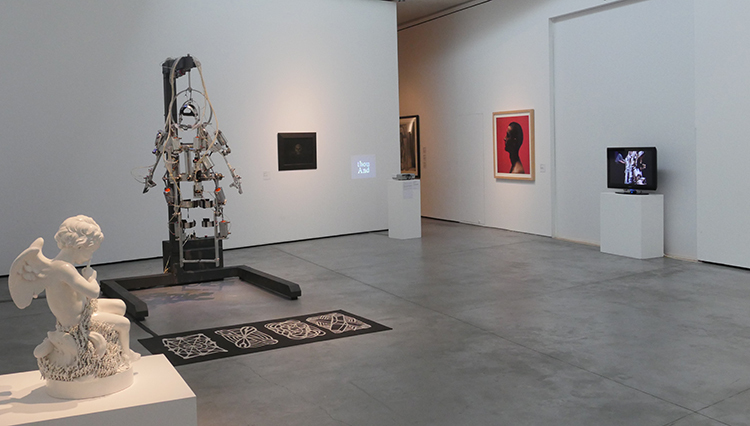 This exhibition includes works by artists such as Rafael Lozano-Hemmer, Pilar Albarracín, Evru (Zush), Daniel Canogar, Eduardo Kac, Eulalia Valldosera or Lugán. «FACES» is an exhibition curated by Roberta Bosco and Stefano Caldana that is a unique case so far, because for the first time it poses a dialogue at the same level between works of electronic art and works of art from traditional disciplines.